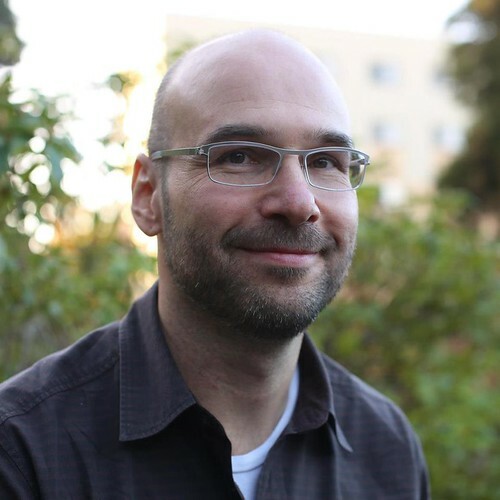 Sentient Developments: Guest Blogger: Russell Blackford: Freedom of religion (or freedom of belief, conscience, and worship). Guest Blogger: Russell Blackford: Freedom of religion (or freedom of belief, conscience, and worship). Well, it matters to me. In my previous post I raised the implications of the atheist bus, but it's not just that. At the same time, I've been writing some submissions to government reviews here in Australia, including a submission to the National Human Rights Consultation and a submission to a separate project on freedom of religion and belief (the latter conducted under the auspices of the Australian Human Rights Commission). Issues to do with freedom of religion have also come up in the process of editing Voices of Disbelief (working title) the book that I'm working on with Udo Schuklenk , to be published in September by Wiley-Blackwell. One of the issues that arises again and again is how far freedom of religion is some kind of positive right to get resources from others … and, related to this, how far it's a free pass, enabling you to wriggle out of rules applying to everybody else. I'm going to argue that it's neither of those. But to do so I need to put forward my own view as the what this important freedom is all about. I used to think it was fairly uncontroversial, but I'm increasingly discovering that it isn't. Perhaps you disagree with my account of it, as many folks who are solicitous towards religion evidently do. The point that I really want to hammer in this post is that freedom of religion - which can be expanded to freedom of belief, conscience, and worship - is no more, but no less, than a negative right against the state. Of course, it's a very important one. For a start, it's a guarantee that the state's power of fire and sword (or in modern terms, prison bars and guns) will not be used in free societies to suppress religious beliefs. This negative right against the state is fully compatible with other such negative rights, including freedom of speech. But contrary to what is sometimes asserted, it is not a positive right against the world for it to help you out. Imagine that Helena is an adherent of, say, Zeusism. She does not thereby have a right that other citizens must give her Zeusist beliefs their credence, deference, or esteem (as opposed to respecting her political right to hold them without persecution). There can be no guarantee that her doctrines will impress others as wise, plausible, or even rational; they may, indeed, impress others as the opposite – perhaps even as demeaning or ridiculous. Moreover, there is no guarantee that others won't use their freedom of speech to express their own unfavourable impressions of Zeusism, even in pointed ways. Nor does Helena have a right that resources be provided through the tax-transfer system, to ensure that Zeusism persists and flourishes. That is not the original or natural meaning of freedom of religion, and I see no reason to make it the contemporary meaning. Except in some extraordinary circumstance, it is really no business of the state which religious sects flourish and which die out over time. These two limbs correspond roughly to the two "freedom of religion" clauses contained in the First Amendment to the US Constitution, commonly known as the Establishment Clause and the Free Exercise Clause. However, I have added explanatory detail to make clear that what is envisaged is a thoroughgoing separation of religious doctrine from state power: neither is to affect the other. Religion cannot demand that the state impose it on the unwilling (because the state is forbidden from doing any such thing); and the state cannot make laws to suppress religious doctrines that it dislikes. The combination of the two limbs entails that a citizen need not fear that the state will suppress the doctrines that she subscribes to, or the practices that they require. In any event, it cannot do so by direct and deliberate actions. We'll come back to that next time. Moreover, the citizen need not fear that doctrines and practices that are foreign to her — those she does not subscribe to — will be imposed on her by the might of the state. In the latter case, it makes no difference whether she rejects the doctrines and practices because: (a) she prefers the inconsistent doctrines and practices of her own religion; or (b) she rejects all religious doctrines and has no convictions of her own that could be described accurately as "religious". Indeed, if she is to have full reassurance that she is safe from state interference with her convictions about deep matters, she needs to know that limb (2) will be interpreted broadly so that the state will not attempt to suppress her convictions even if they are not those of any identifiable religion. Freedom of belief and conscience supplements freedom of merely religious belief; the ordinary meanings of these words suggest that the state will refrain from suppressing any honest convictions on deep matters (or even not-so-deep ones! ), regardless whether or not they are taken from religious teachings (and whether or not they are connected with any religion or any identifiable system of thought that has religion-like characteristics). This two-limbed doctrine provides an important area of freedom for individuals. At the same time, it provides a great benefit to public policy. If the first limb is applied strictly, then there will be no jockeying (or at least no successful jockeying) by different religious (or similar) groups to gain access to the power of the state. As John Locke knew, back in the seventeenth century, when he argued powerfully for religious tolerance, it eliminates a source of intractable division and conflict. In order to obtain a peaceful political order, we relegate religion to an area of personal belief that is none of the state's business. In developing public policy, the state is "religion blind" and relies on purely secular principles such as the harm principle and the need to provide an economic safety net. Note, however, that there are also limits to what is provided by the two limbs of freedom of religion. There is no requirement that the adherents of one religion (Zeusism for example) should cease to regard its doctrines as absolute Truth or should cease to regard the doctrines of other religions as pernicious. Zeusists may have a doctrine that Mardukism is a lie and a snare, the creation of an evil demon — and they are perfectly free to think this and express it, so long as they don't resort to violence or otherwise break the general law. 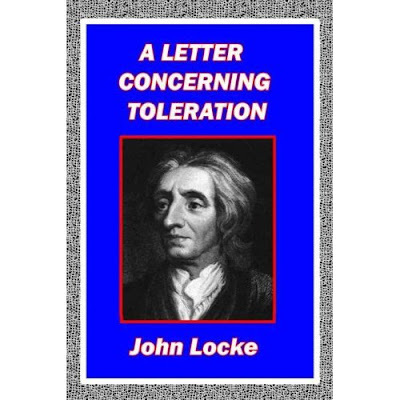 While a regime of non-persecution may often soften the attitudes of religious sects, as Locke hoped, there is no requirement that they give up on criticising each other, or seeking converts, or even teaching that rival sects are inspired by wickedness. In short, freedom of religion - or, better, freedom of belief, conscience, and worship - provides a strong protection against the power of the state to persecute infidels and heretics, suppress doctrines, or impose its own view of orthodoxy and religious morality. At the same time, it leaves all concerned with freedom to think what they like of each other. They retain the right to hold to their own doctrines, along with their general freedom of belief, speech, and expression. But nothing about freedom of religion suggests that religious sects or their adherents are "nice", or that they must become so. The state can't tell the Zeusites to like the Mardukites, or reassure the Mardukites that the Zeusites will henceforth look kindly on them. Or vice versa. There's more that this freedom doesn't do for the religious, I'm afraid, but I'll return to that in Part 2. Here are a few "convictions" that are problematic, no matter how you interpret freedom of religion: human sacrifice, female genital mutilation, adultery stonings, suttee. It's useless to beg the question by labeling the practices cultural: religion is invariably used to justify them, and in the cultures that practice(d) them, religion was integrally woven into the fabric of culture. Nostalgia aside, the tyranny of custom is almost always worse than the tyranny of law.